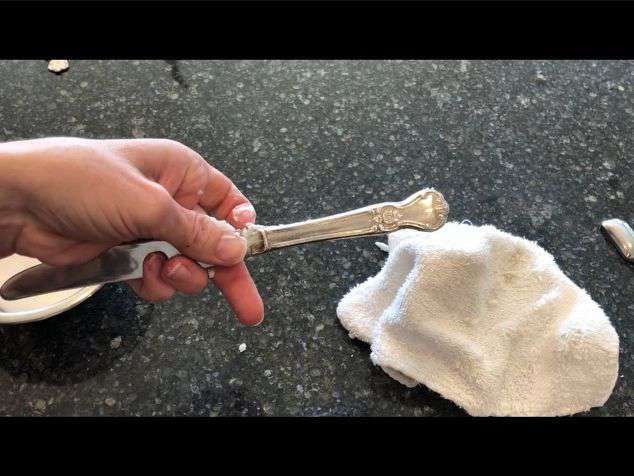 I have an heirloom that is silver and I have been wanting to clean it up. 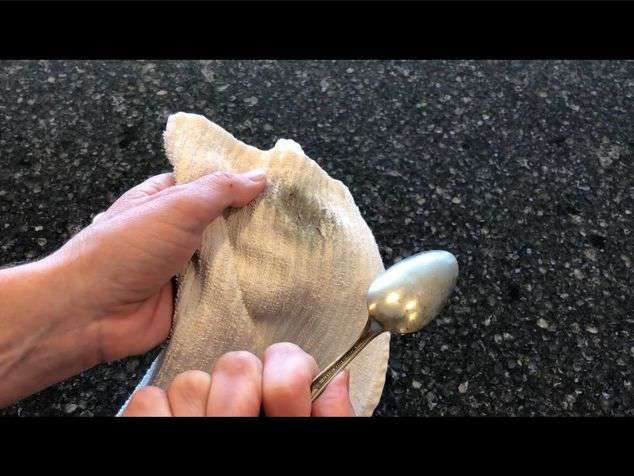 I decided to try a bunch of silver cleaning hacks to see what would work best to clean it. I started with some silverware that I had to do the test runs. Let’s start with the top 3 winners! 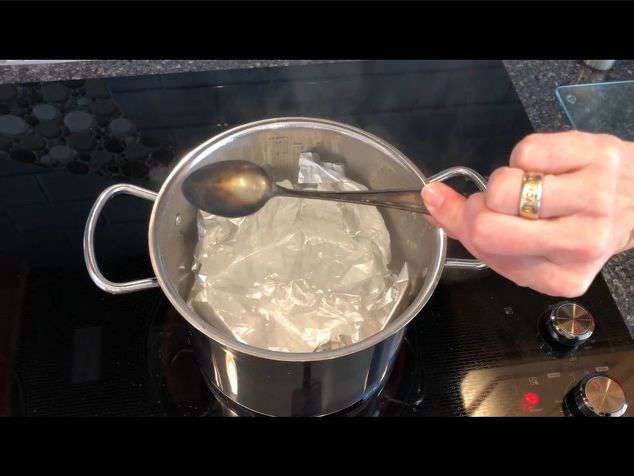 Place your silver in the boiling water for 10-30 seconds and pull out. 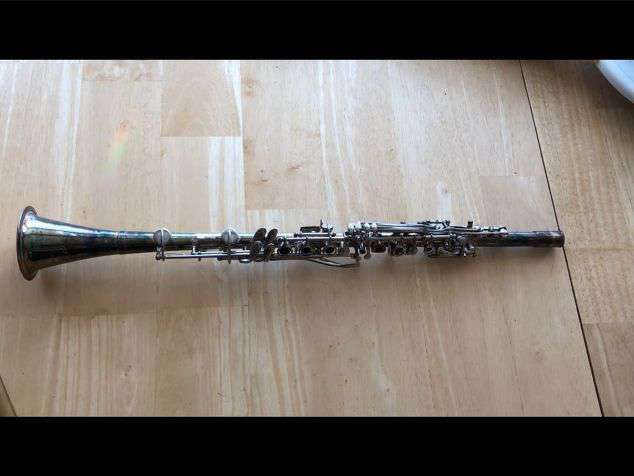 It’s pretty amazing to watch the tarnish literally disappear! 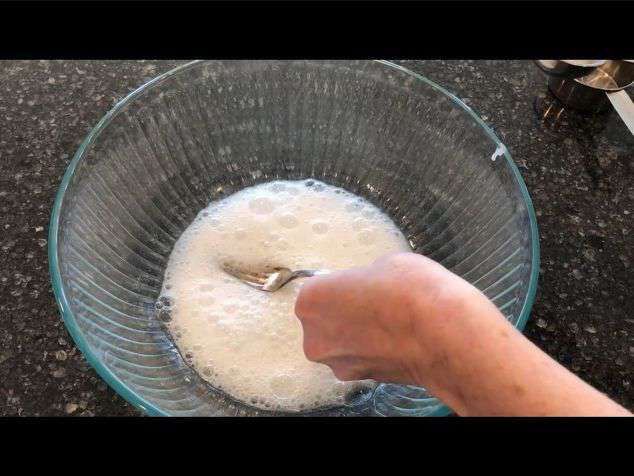 Baking Soda & Water Paste: Place 1/4 cup baking soda and 1-2 tablespoons of water into a bowl and make a paste. 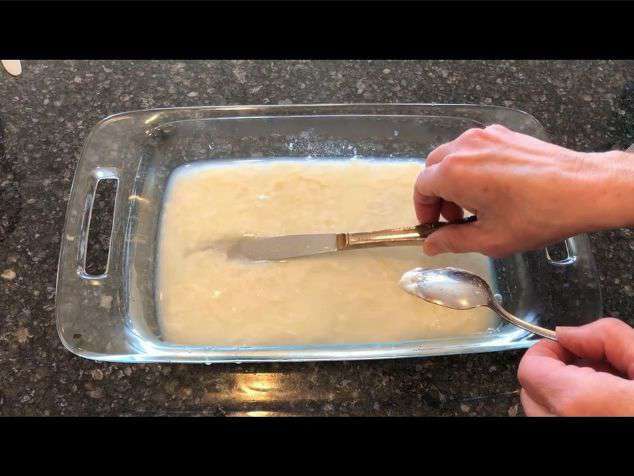 Use a cloth to rub the mixture onto the sliver. When finished cleaning, rinse off. 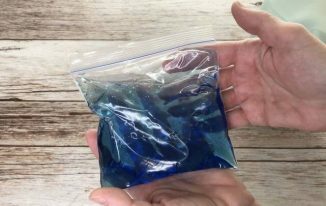 Toothpaste Method – For this use regular toothpaste (not gel). I used Crest no flavor regular toothpaste. 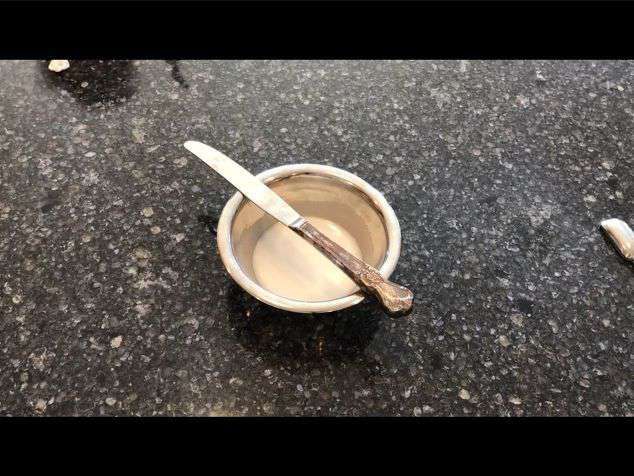 Put the toothpaste on a cloth and rub the silver with the toothpaste. Rinse off when finished cleaning. Honorable Mentions: these technique worked but not quite as well as the above or took a little longer or more effort than I wanted. 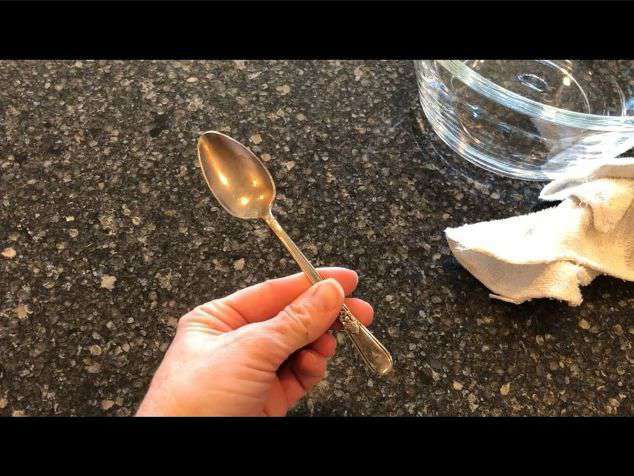 Water & Ammonia: Place 1 cup warm water in a bowl. 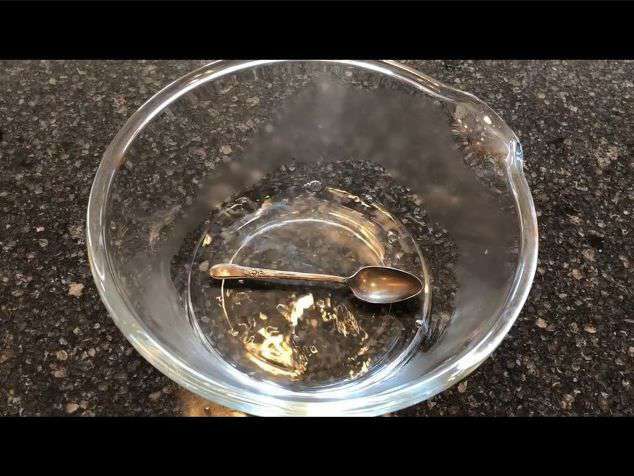 Add 1/2 c. Ammonia, stir and place the silver in the bowl. Let soak for 10 minutes. 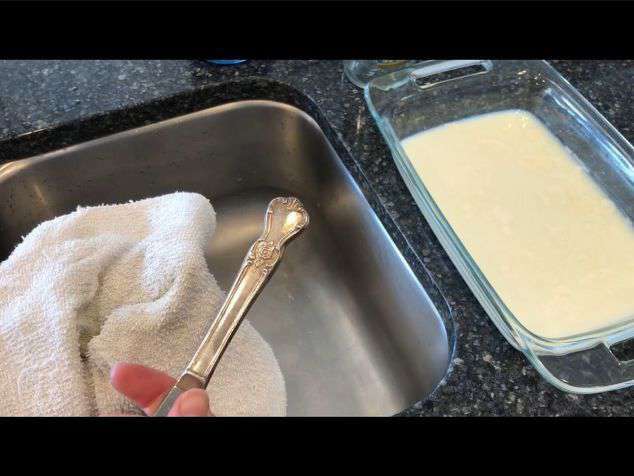 When finished use a cloth to wipe clean and rinse off. I found it didn’t completely come clean but it did make a difference. 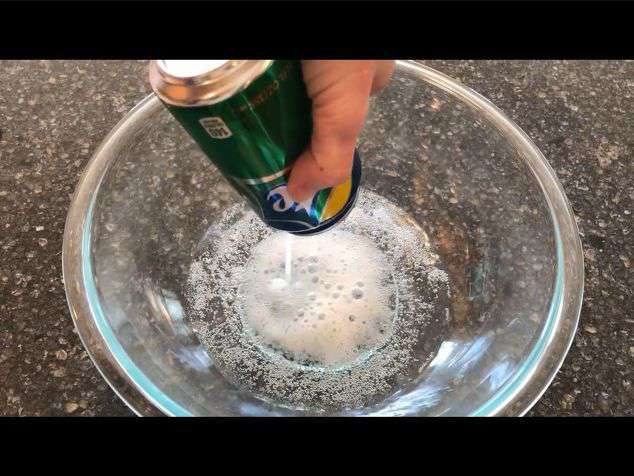 Vinegar & Baking Soda: Place 1/2 cup vinegar in a bowl with 2 tablespoons baking soda. Let soak for 2-3 hours. Lemon Juice, Water, & Powdered Milk: In a dish place 1 tablespoon lemon juice, 1 1/2 cups water, and 1/2 cup instant powdered milk and mix. It literally turns sour and looks gross (just a heads up). Let this soak overnight. The next day take a cloth and wipe clean. Once it’s clean rinse it off. This method worked pretty well and surprised me. I just don’t know if I want to wait a whole day for everything to get cleaned. 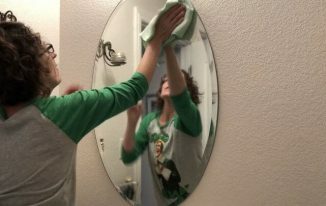 Cleaning with hand sanitizer – although if your looking to remove fingerprints and such this worked great for that and gave it a nice shine. 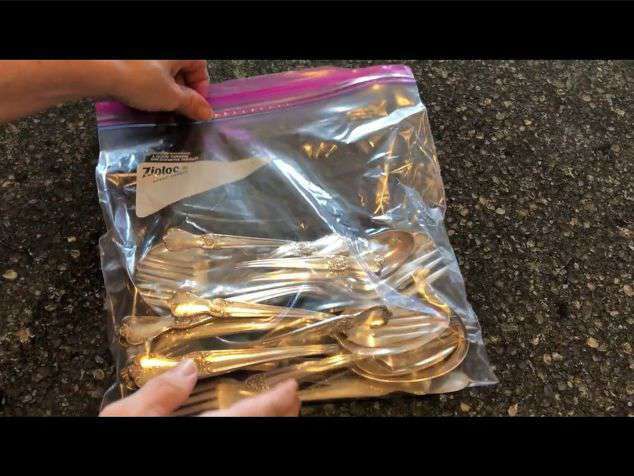 Special notes – to stop the tarnish from coming back with regards to small items and silverware – place in a ziploc baggie and squeeze as much air out as possible. It’s the air that causes the tarnish to come back. 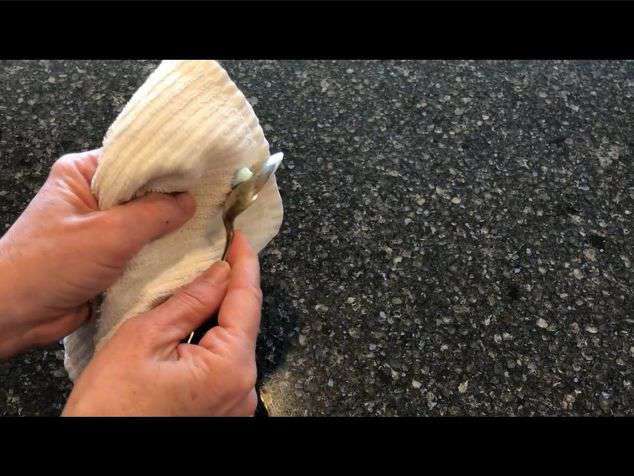 For Silver plated items – stay away from acid cleaners like vinegar and lemon juice. It could harm the plating. Hi, Chas! 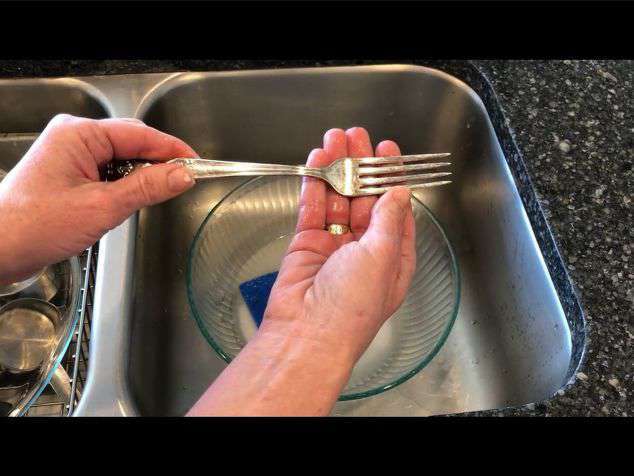 I enjoy your blog and wanted to share another silver cleaning tip. My Granny” shined up my little silver name bracelet for me back in the early 1950s. I thought she was magic! She put red lipstick on a soft cloth and as she rubbed, the cloth turned black with tarnish and my bracelet was left shiny and new looking. She told me that red lipstick was the key…the redder the better, but not to “get into” my mother’s lipstick without her permission! I have always kept a tube of red lipstick on hand for quick silver polishing. Interesting, so do you have one method you prefer that you’d recommend above the others or do you think it depends what the item is and how badly it’s tarnished? Great question Julie! I really liked the toothpaste method. 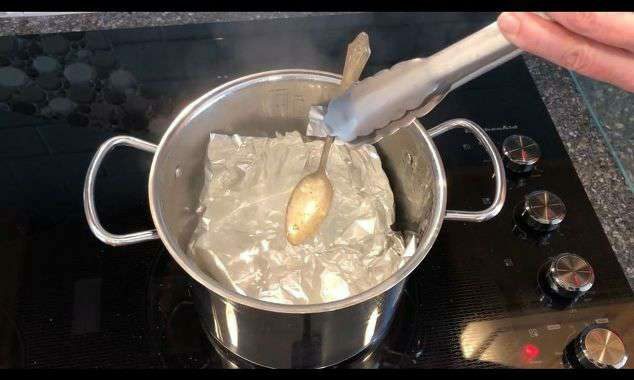 It worked well, was easy to use, is safe for silver plated items, and didn’t scratch. The timing of your post is perfect. I just picked up a beautiful silver fruit dish from a thrift shop. 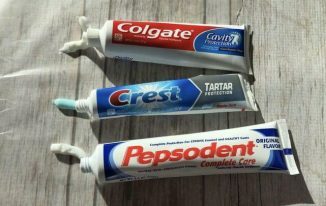 I’m going to try the tooth paste method. Thanks for sharing on Sunday’s Best. Thanks Rhonda and let me know how it goes – love that you got a great find at the thrift store! Thanks for such a useful idea! I have heirlooms noone wants because they don’t want to polish them. Ha! Now it’s so easy I can continue to use them,at the same time avoiding re-tarnishing. can’t wait to read of your other magic tricks! Thanks again! Thank you so much Ann and I’m glad you this post might help you. Hi Debra, I’m so glad this worked for you, and so sorry to hear about your friend’s tray. 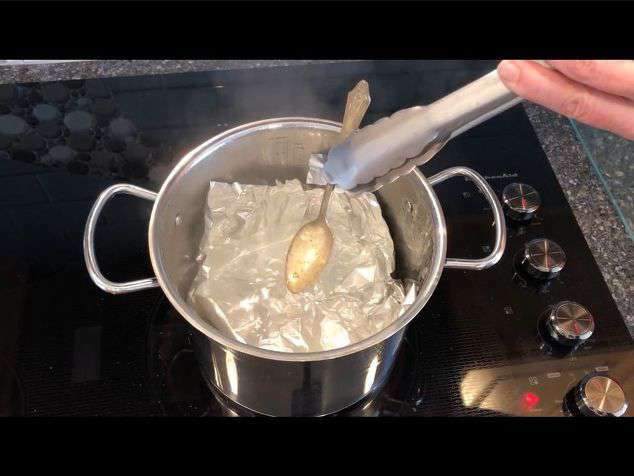 Thanks for sharing for others to see, and yes for silver that has plastic or other things on it one of the other methods might work better.